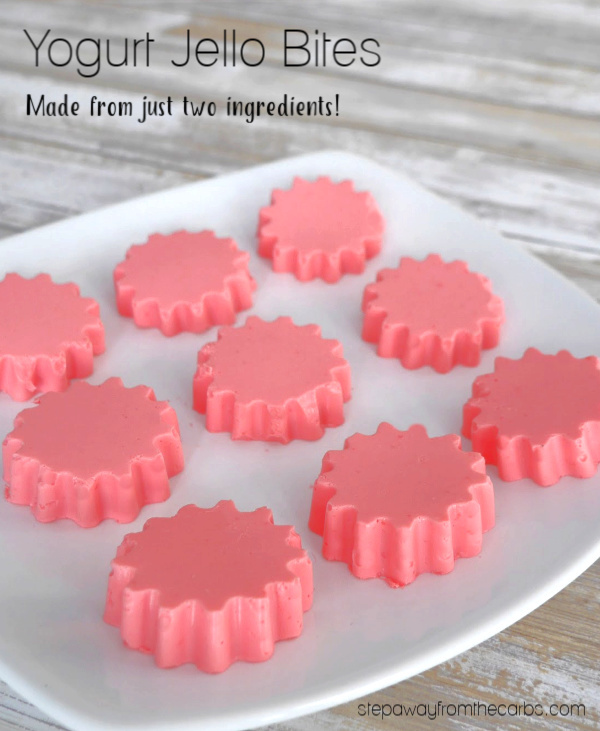 These yogurt jello bites are the perfect low carb sweet snack! 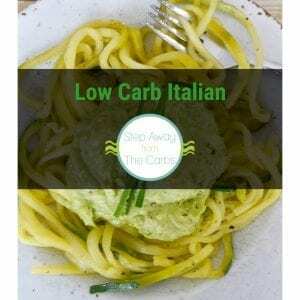 Sugar free and made from just TWO ingredients! 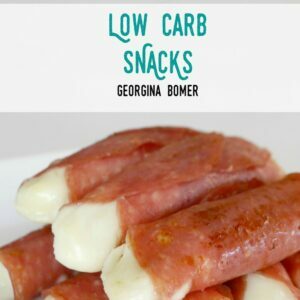 I love how just two ingredients can make something so tasty! And as much as I love chocolate treats sometimes I just want something sweet and candy-like. These really hit the spot. 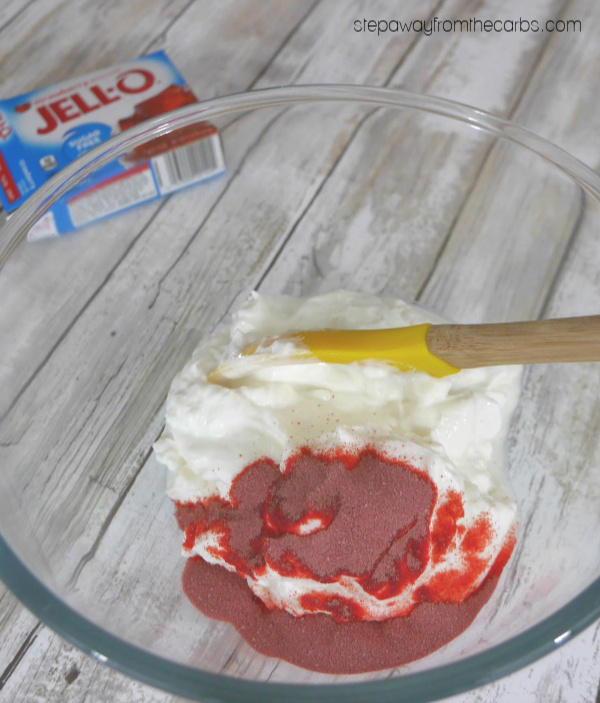 In a medium bowl, mix together some plain Greek yogurt and sugar free Jello powder. 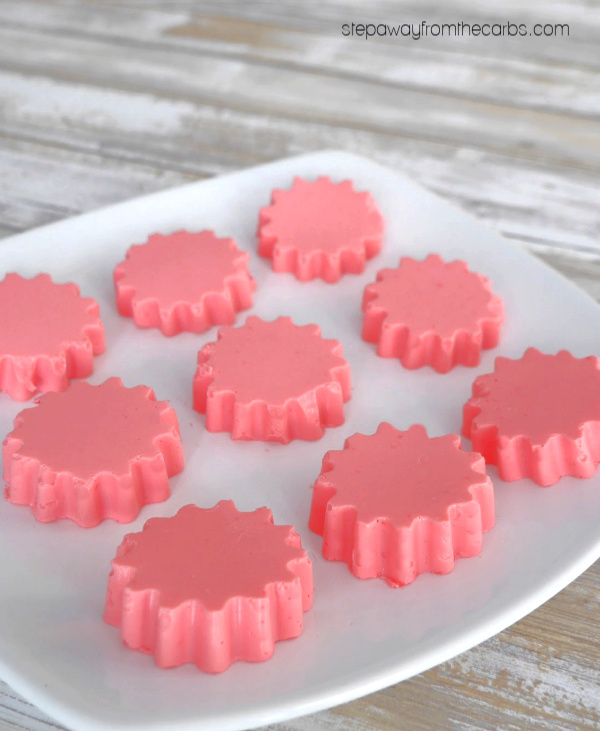 I used strawberry flavor Jello as I just love the color – but you can use any flavor you like. Place the bowl in a microwave and cook for one minute, then stir well. Continue to cook in 30 second bursts, stirring between each burst, until the Jello crystals have fully dissolved into the yogurt. I have a pretty powerful microwave and it only took 1½ minutes total. Spoon the mixture into a silicone mold. 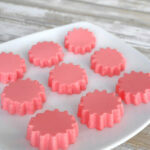 I used this cute daisy mold because the mixture was pink and it is spring, but there are so many to choose from! How about hearts, pumpkins or snowflakes? Hearts would be PERFECT for a Valentine’s Day treat! Note: I do spray the mold first with a little mild-tasting non-stick spray first just to make removal a little bit easier! 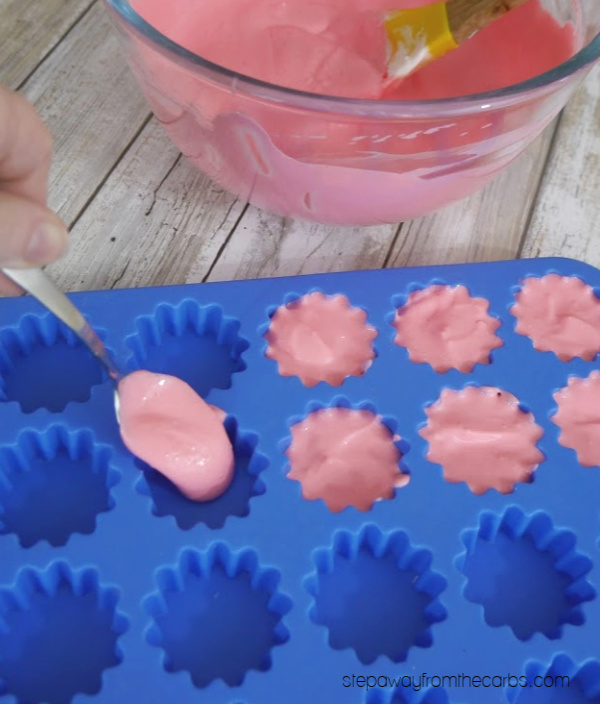 Level off the mold with an icing spatula to keep the bites neat, and tap the mold a few times to remove any air bubbles. Place the silicone mold on a board (to stop it bending), then place it in the fridge until they have set – at least three hours. Carefully remove the yogurt bites from the mold and serve, or store in the fridge until required. The tart flavor of the yogurt is softened by the super sweet Jello – making it a perfect combination that even the kids will love! In a medium bowl, mix the ingredients together. Place the bowl in a microwave and cook for one minute, then stir well. 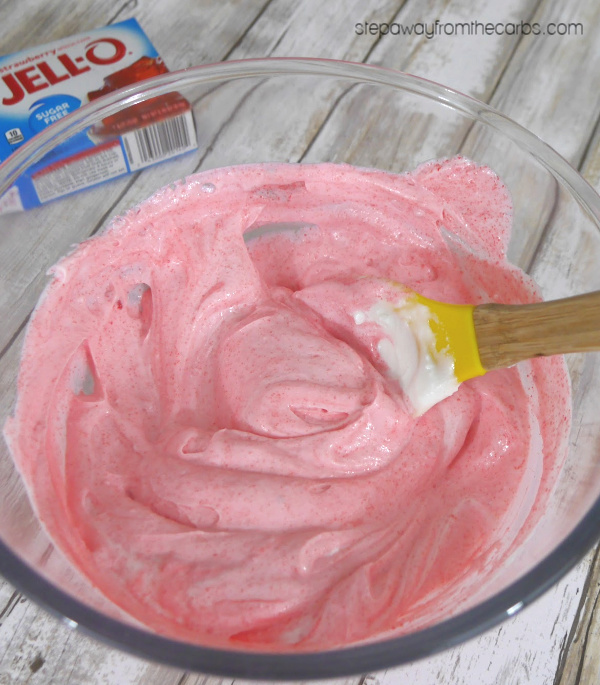 Continue to cook in 30 second bursts, stirring well each time, until the Jello crystals have completely dissolved into the yogurt. Spoon the mixture into a silicone mold. You may like to spray the mold with some mild non-stick spray first. Level off the mold with an icing spatula, and tap the mold a few times to remove any air bubbles. Place the silicone mold on a board (to stop it bending), then place it in the fridge until they have set - at least three hours. Carefully turn out each yogurt bite, and enjoy! Store in the fridge. Are the ingredients tripled for a reason or is it 1 16 oz yogurt and 1 box jello? Yikes! Just one of each. Fixing it now so please refresh in a few minutes. Hi, any idea whether full fat yogurt would be okay in this application? I’ve not tried it but I’m sure it would work, you’d just need to check the nutritional data. Hi, how would it work if one would use gelatin powder ? 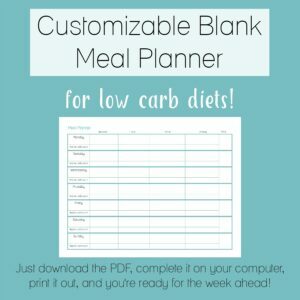 Think it would work with full fat coconut milk instead of the yogurt? What brand yogurt do you use? Can you show the nutritional facts for it? 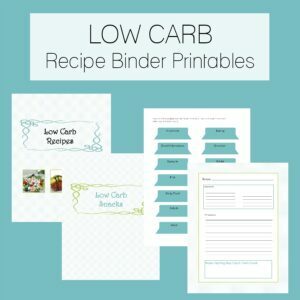 I haven’t tried it but if you lined it with parchment paper then cut them into squares then I guess it would work. If you try it, let me know!